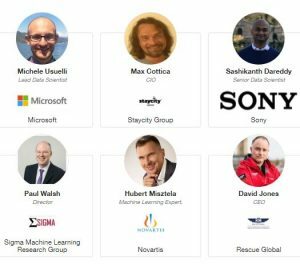 Machine Learning Innovation Summit Dublin 2018 is a one-day event that brings a great package of the best in Digital Marketing field. It will take place on November 29, 2018, at O’Callaghan Alexander Hotel, Dublin, Ireland. Machine Learning Innovation Summit Dublin 2018 is one of the Innovation Enterprise series of Digital Marketing, Mobile Marketing, E-commerce, Retail, data visualization, and Social Media events, which held annually around the world. It is a must attend for those looking to master these responsibilities, and deliver prosperity in today’s challenging economic climate. Discover What’s Trending In The Digital Ecosystem. Who Will Attend The Machine Learning Innovation Summit Dublin 2018?! Follow up the Machine Learning Innovation Summit Dublin 2018 updates here OR discover more Digital Marketing events, conferences & webinars in Ireland during 2018 here.